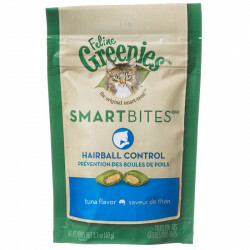 Everyone's going green these days - isn't it time for your pet to do it too? 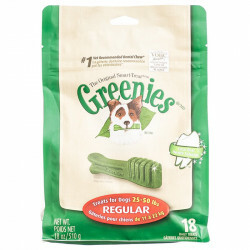 Greenies dog treats have set an industry standard for quality, safety and health benefits while creating a full line of delicious chews and treats to suit every dog. 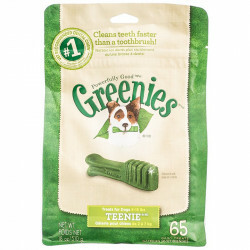 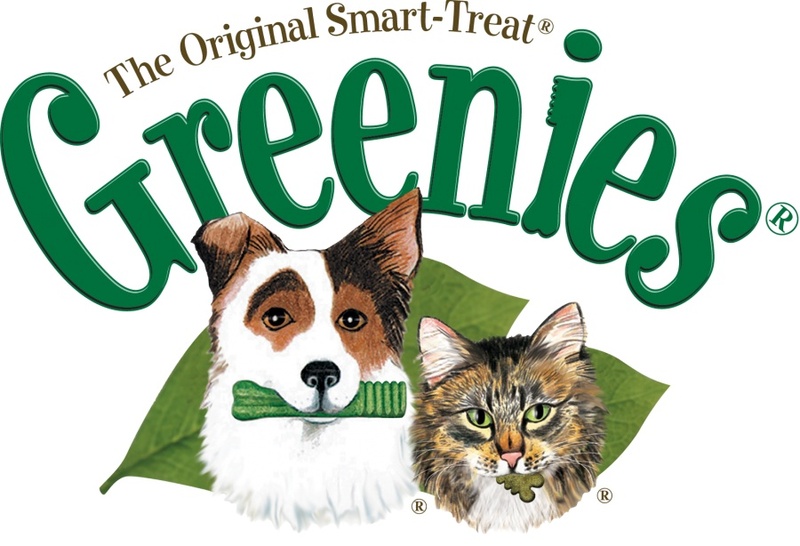 Their dedication to upholding the very highest standards of quality have made Greenies the #1 vet-recommended source for dental chews, treats and feeding solutions. 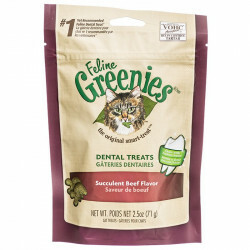 In addition to the irresistible taste and long-lasting chewability of Greenies treats, they are also the first dog chews to receive the Veterinary Oral Health Council Seal of Acceptance for their ability to control plaque and tartar buildup. 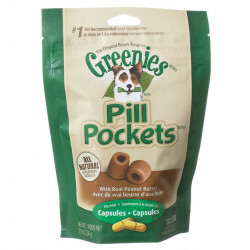 Designed to provide the ultimate in preventative care by the world's leading scientists, vets and pet nutritionists, Greenies treats address your dog's dental health, joint support, and offer unique, innovative solutions for common dog issues. 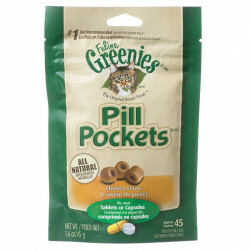 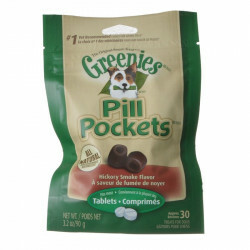 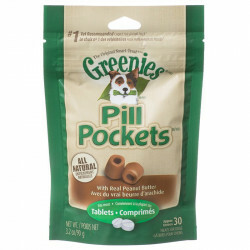 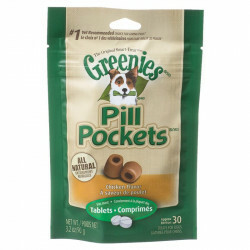 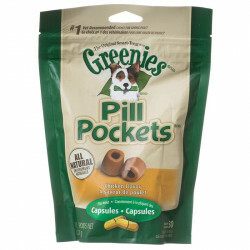 Foremost among these are Greenies Pill Pockets, the most recommended way to encourage positive pilling in dogs. 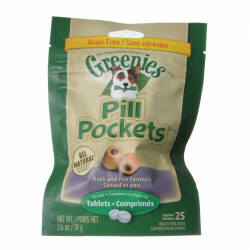 These tasty, wholesome treats are ready-made to hold your dog's pills and other medicine, and hide the taste with real, natural flavors to encourage easy acceptance. 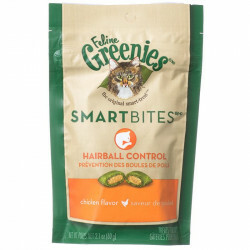 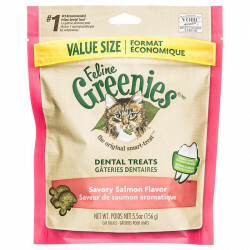 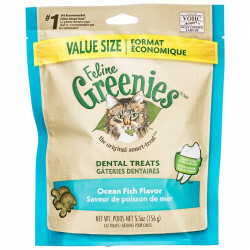 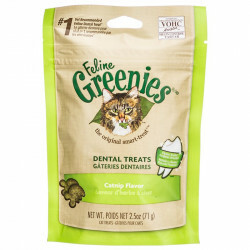 Greenies also brings an unmatched level of expertise and care to their line of beneficial cat dental treats, pill acceptance and hairball control snacks. 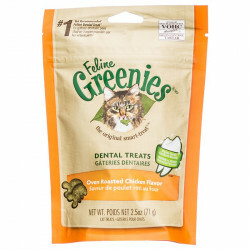 In fact, their line of feline treats contains the #1 vet-recommended dental and pilling treats for cats on the market. 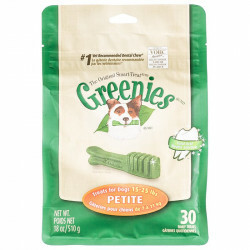 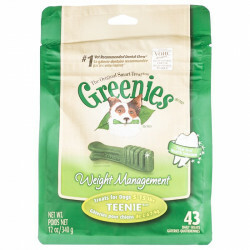 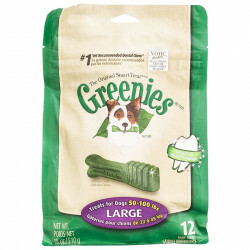 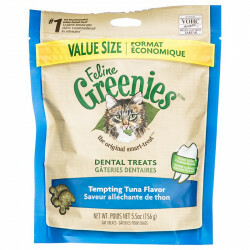 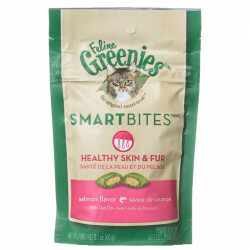 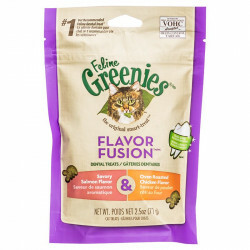 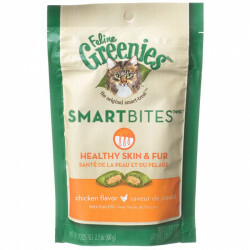 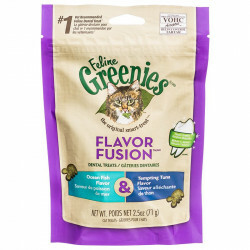 Try any Greenies treat or chew for your furry friends and you'll quickly see why Greenies is the Original Smart-Treat.